Boulanger, J., J. Adamczewski, and T. Davison. 2018. Estimates of caribou herd size using post-calving surveys in the Northwest Territories and Nunavut, Canada: A meta-analysis. Rangifer In press. Adamczewski, J., J. Boulanger, Croft, B.,, T. Davison, H. Sayine-Crawford , and B. Tracz. 2017. A comparison of calving and post-calving photo-surveys for the Bluenose-East herd of barren-ground caribou in northern Canada in 2010. Canadian Wildlife Biology and Management 6:4-30. Carlson, R. I., M. R. L. Cattet, B. L. Sarauer, S. E. Nielsen, J. Boulanger, G. B. Stenhouse, and D. M. Janz. 2016. Development and application of an antibody-based protein microarray to assess physiological stress in grizzly bears (Ursus arctos). Conservation Physiology 4. Dumond, M., J. Boulanger, and D. Paetkau. 2015. The estimation of grizzly bear density through hair-snagging techniques above the tree line. Wildlife Society Bulletin:doi: 10.1002/wsb.1520. Tumendemberel, O., M. Proctor, H. Reynolds, J. Boulanger, A. Luvsamjamba, T. Tserenbataa, M. Batmunkh, D. Craighead, N. Yanjin, and D. Paetkau. 2015. Gobi bear abundance and inter-oases movements, Gobi Desert, Mongolia. Ursus 26:129-142. Ciucci, P., V. Gervasi, L. Boitani, J. Boulanger, D. Paetkau, R. Prive, and E. Tosoni. 2015. Estimating abundance of the remnant Apennine brown bear population using multiple noninvasive genetic data sources. Journal of Mammalogy 96:206-220. Boulanger J, Stenhouse GB. 2014. The Impact of Roads on the Demography of Grizzly Bears in Alberta. PLoS ONE 9(12): e115535.doi:10.1371/ journal.pone.0115535. Housty, W. G., A. Noson, G. W. Scoville, J. Boulanger, R. M. Jeo, C. T. Darimont, and C. E. Filardi. 2014. Grizzly bear monitoring by the Heiltsuk people as a crucible for First Nation conservation practice. Ecology and Society 19. Nielsen, S. E., M. R. L. Cattet, J. Boulanger, J. Cranston, G. J. McDermid, A.B.A. Shafer & G. B. Stenhouse. 2013. Environmental, biological and anthropogenic effects on grizzly bear body size: temporal and spatial considerations. Bio. Med. Central. Ecology 2013, 13:31. Boulanger, J., K. G. Poole, A. Gunn, and J. Wierzchowski. 2012. Estimating the zone of influence of industrial developments on wildlife: A migratory caribou and diamond mine case study. Wildlife Biology 18:164-179. Gervasi, V., P. Ciucci, J. Boulanger, E. Randi, L. Boitani. 2012. A multiple data source approach to improve abundance estimates of small populations: The brown bear in the Apennines, Italy. Biological Conservation 152: 10–20. Boulanger, J., A. Gunn, J. Adamczewski, and B. Croft. 2011. A data-driven demographic model to explore the decline of the Bathurst caribou herd. Journal of Wildlife Management, 75:883-896. Gervasi, V., P. Ciucci, F. Davoli, J. Boulanger, L. Boitani, and E. Randi. 2010. Addressing challenges in non-invasive capture recapture based estimates of small populations: a pilot study on the Apennine brown bear. Conservation Genetics Online. Proctor, M., B. N. McLellan, J. Boulanger, C. D. Apps, G. Stenhouse, D. Paetkau, and G. Mowat. 2010. Ecological investigations of grizzly bears in Canada using DNA from hair: 1995-2005: a review of methods and progress. Ursus 21:169-188. Kendall, K. C., J. B. Stetz, J. Boulanger, A. C. Macleoud, D. Paetkau, and G. C. White. 2009. Demography and genetic structure of a recovering grizzly bear population. Journal of Wildlife Management 73:3-17. Boulanger, J., K. C. Kendall, J. B. Stetz, D. A. Roon, L. P. Waits, and D. Paetkau. 2008a. Multiple data sources improve DNA-based mark-recapture population estimates of grizzly bears. Ecological Applications 18:577-589. Boulanger, J., G. C. White, M. Proctor, G. Stenhouse, G. MacHutchon, and S. Himmer. 2008b. Use of occupancy models to estimate the influence of past live captures on detection probabilities of grizzly bears using DNA hair snagging methods. Journal of Wildlife Management 72:589-595. Gervasi, V., P. Ciucci, J. Boulanger, M. Posillico, C. Sulli, S. Focardi, E. Randi, and L. Boitani. 2008. A preliminary estimate of Apennine brown bear population size based on hair-snag sampling and multiple data source mark-recapture Huggins models. Ursus 19:105-121. Cattet, M., J. Boulanger, G. Stenhouse, R. A. Powell, and M. J. Reynolds-Hogland. 2008c. An evaluation of long-term capture effects in ursids: Implications for wildlife welfare and research. Journal of Mammalogy 89:973-990. Mulders, R., J. Boulanger, and D. Paetkau. 2007. Estimation of population size for wolverines at Daring Lake, Northwest Territories using DNA-based mark-recapture methods. Wildife Biology 13 (supplement):38-51. Boulanger, J., M. Procter, S. Himmer, G. Stenhouse, D. Paetkau and J. Cranston. 2006. An empirical test of DNA mark-recapture strategies for grizzly bears. Ursus 17 (2) 149-158. Lehmkuhl, J. F., K. D. Kistler, J. S. Begley, and J. Boulanger. 2006. Demography of northern flying squirrels informs ecosystem management of western interior forests. Ecological Applications 16:584-600. Stenhouse, G., J. Boulanger, J. Lee, K. Graham, J. Duval, and J. Cranston. 2005. Grizzly bear associations along the eastern slopes of Alberta. Ursus 16:31-40. Boulanger, J., S. Himmer, and C. Swan. 2004a. Monitoring of grizzly bear population trend and demography using DNA mark-recapture methods in the Owikeno Lake area of British Columbia. Canadian Journal of Zoology 82:1267-1277. Boulanger, J., G. Stenhouse, and R. Munro. 2004b. Sources of heterogeneity bias when DNA mark-recapture sampling methods are applied to grizzly bear (Ursus arctos) populations. Journal of Mammalogy 85:618-624. Boulanger, J., J. Woods, B. N. McLellan, M. F. Proctor, and C. Strobeck. 2004c. Sampling design and capture probability bias in DNA based mark-recapture estimates of grizzly bear populations. Journal of Wildlife Management 68:457-469. Boulanger, J., G. C. White, B. N. McLellan, J. G. Woods, M. F. Proctor, and S. Himmer. 2002. A meta-analysis of grizzly bear DNA mark-recapture projects in British Columbia. Ursus 13:137-152. Boulanger, J., and B. McLellan. 2001. Closure violation in DNA-based mark-recapture estimation of grizzly bear populations. Canadian Journal of Zoology 79:642-651. Boulanger, J., K. Martin, G. Kaiser, and A. E. Derocher. 2001. Evaluating uncertainty in estimating population trends for research and conservation of marbled murrelets. Society for Canadian Ornithologists, Special Publ No. 2, Biology and Conservation of Forest Birds. Boulanger, J. G., and C. J. Krebs. 1996. Robustness of capture-recapture estimators to sample biases in a cyclic snowshoe hare population. J. Applied Ecology 33:530-542. Boulanger, J. G., and C. J. Krebs. 1994. 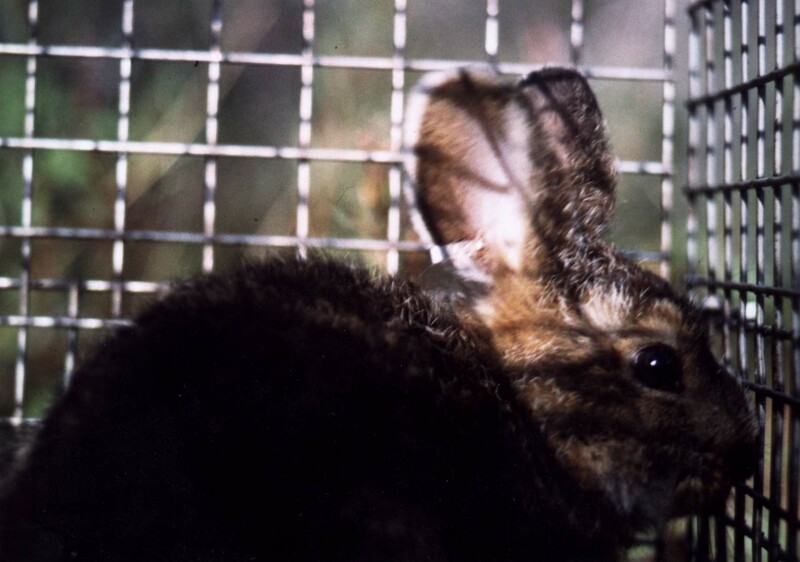 Comparison of capture-recapture population estimators using snowshoe hare populations. Canadian Journal of Zoology 72:1800-1807. Boulanger, J. G., and G. C. White. 1990. A comparison of home-range estimators using Monte Carlo simulation. Journal of Wildlife Management 54:310-315. Boulanger, J., B. Croft, J. Adamczewski, D. Lee, N. C. Larter, and L. M. Leclerc. 2016. An estimate of breeding females and analyses of demographics for the Bluenose-East herd of barren-ground caribou: 2015 calving ground photographic survey. Environment and Natural Resources, Govt of Northwest Territories Manuscript Report 260. Boulanger, J. 2016 Sample Sizes of Collared Barren-ground Caribou Required to Estimate Herd Size in Winter and Fall Management Areas to Allow Assessment of Harvest Risk. Environment and Natural Resources, Govt of Northwest Territories Manuscript Report 261. Stenhouse, G. B.,J. Boulanger M. Efford, S. B. Rovang, V. A. Sorensen, and T. McKay. 2015. Estimates of Grizzly Bear population size and density for the 2014 Alberta Yellowhead Population Unit (BMA 3) and south Jasper National Park Inventory Project. Report prepared for Weyerhaeuser Ltd., West Fraser Mills Ltd, Alberta Environment and Parks, and Jasper National Park. Boulanger,, J., B. Croft, and J. Adamczewski. 2014. An estimate of breeding females and analyses of demographics for the Bluenose East herd of barren ground caribou: 2013 calving ground photographic survey. Department of Environment and Natural Resources, Government of Northwest Territories, File Report No. 143. Boulanger, J., B. Croft, and J. Adamczewski. 2014. An estimate of breeding females and analysis of demographics from the 2012 Bathurst barren ground caribou calving ground survey. Department of Environment and Natural Resources, Government of Northwest Territories File Report No. 142. Boulanger, J., R. Mulders, and D. Paetkau. 2005a. Analysis of 2004 Daring Lake wolverine DNA mark-recapture data set. Wildlife and Fisheries Division, Resources, Wildlife, and Economic Development, Government of Northwest Territories, Yellowknife, NWT. Boulanger, John, K. Poole, B. Fournier, J. Wierzchowski, T. Gaines and A. Gunn. 2004. Assessment of Bathurst Caribou movements and distribution in the Slave Geological Province. Prep. by Integrated Ecological Research for the Wildlife and Fisheries Division, Department of Resources, Wildlife and Economic Development, Government of NWT, Yellowknife. Boulanger, J., C. D. Apps, B. N. McLellan, and A. N. Hamilton. 2003a. Development of Quantitative Tools to Predict and Monitor Grizzly Bear Population Response to Landscape Change. Forestry Innovation Investment Account project RO2-36, Burnaby, BC.